Block #4 is Broken Dishes, by Ruby McKim, 1931. (Jinny Beyer’s book). Background fabric, cut 2 – 5 3/8″ squares. Accent fabric, cut 2 – 5 3/8″ squares. 1. 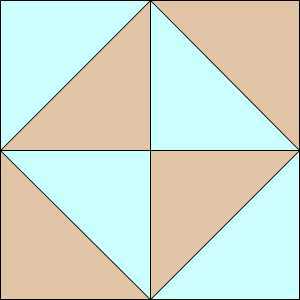 Draw a diagonal line on all background squares. 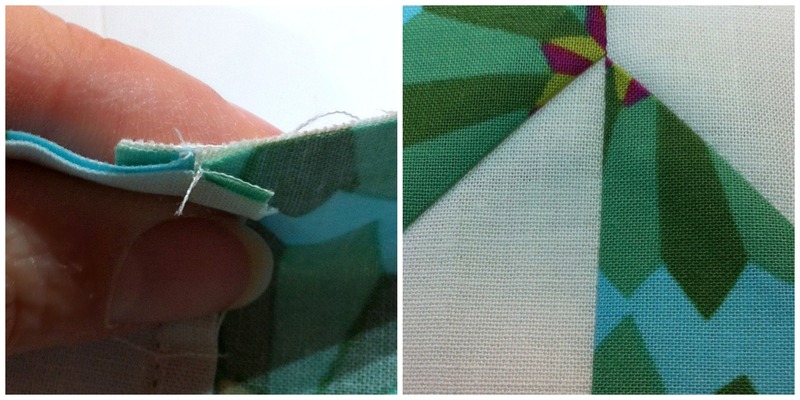 TIP: Square-up/trim your HSTs to 5″ square before moving onto step #2. How are you doing with your blocks? As you finish them, share your pics with us via the Facebook page or the Flickr group!